Snrky: I was wondering why you were hovering in my cube this morning. I was wondering why you were hovering in my cube this morning. 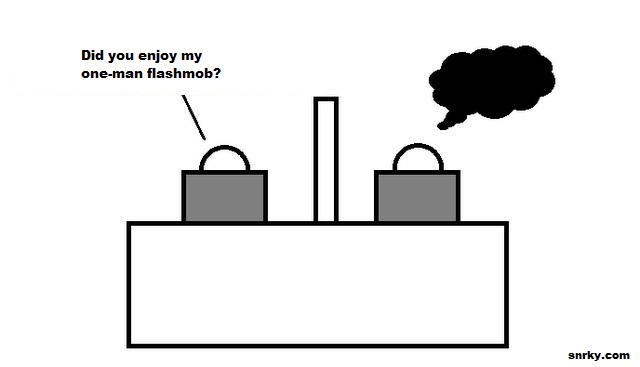 Better than a one-flash manmob?